PV product manufacturers in Taiwan and China saw orders returning in the second half of September, while prices of polysilicon, wafers and PV cells started to rally after reaching their lows, according to EnergyTrend, a division of TrendForce. The capacity utilization rates of many manufacturers also rose from under 50% back to 70~80%. 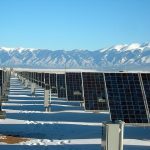 As the Chinese government has planned to significantly cut its renewable energy subsidy in the middle of 2017, EnergyTrend expects the country’s PV system installation demand to take off again towards the end of 2016. Chinese PV enterprises did not have the sufficient manpower to increase their production to meet a short-term increase in demand that occurred just before China’s National Day holidays in October. This has led to a temporary rebound of domestic prices for polysilicon, wafers and cells. 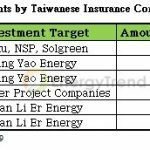 Taiwanese PV product manufacturers are also being affected by the situation and are preparing to raise their prices as well. The first major PV industry tradeshow following China’s National Day holidays will be PV Taiwan, which will last from October 12 to 14. This event will be an important indicator of the market demand situation in China and worldwide. There are concerns that rising prices in the upstream and midstream sectors of the PV chain will be a temporary development as the first-tier manufacturers have yet to fully utilize their production capacities. EnergyTrend’s latest analysis finds that the market is jolted by China’s plan to further cut its PV subsidy, so the overall demand will be fairly strong from the end of 2016 to the first half of 2017. On the other hand, manufacturers in different sectors of the PV chain have also massive expanded their capacities in 2016, so they are more than ready to meet China’s installation rush that will begin at the end of the year. Looking ahead to 2017, supply will continue to outpace demand through the year. Prices will likely remain in a slump even if there are periods of significant increases in orders. Chinese industry participants would prefer their government to reduce subsidy at a gradual pace in 2017 as to avoid a repeat of this year’s progression – an installation rush during the first six months followed by a demand freeze in the latter half of the year. “Nonetheless, the Chinese government through several statements has indicated that a major reduction in subsidy will be in effect by the end of June 2017, which will mark the end of the next wave of installation demand,” Lin added. “Even if the actual subsidy cut might be smaller than previously announced, the Chinese PV market will generally follow the demand pattern of this year. Hence, manufacturers across the supply chain will have to keep improving their cost efficiency during the period of strong demand in the first half of 2017. By being vigilant, they will be able to cope with the inevitable price slump in the second half of next year.